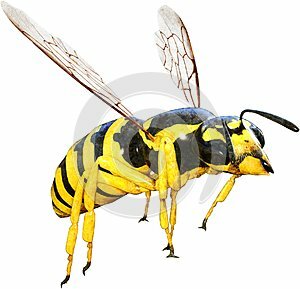 Illustration of a wasp or bee insect. The flying bug has a stinger. Isolated on white, PNG file available.